Aikido is an excellent martial art for children. Like all martial arts, it can help to build a child’s confidence and sense of self-reliance, as well as providing a good form of physical exercise. In addition, aikido strongly emphasises collaborative training, conflict resolution, and respect for others, all of which help children to develop positive social skills. 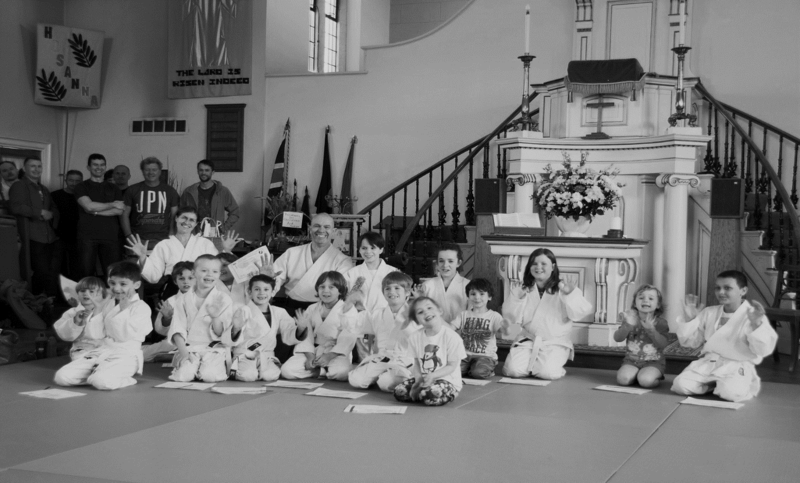 The Junior classes at Bristol North offer an opportunity for children aged between 5 and 10 to make new friends, burn off excess energy and have fun in a safe environment whilst also learning the rudiments of aikido. Older children and teenagers can benefit from the Young People’s class, which investigates aikido in more depth and starts examining the more martial aspects of the art. The children’s classes follow the National Aikido Federation’s Junior grading system, with a system of coloured belts to encourage children’s progress through the grades. The final grade in this system (17th mon, which, with regular training, is usually achieved around the age of 16-18) is equivalent to an adult 2nd kyu, and older students can attend the adult classes at this level. Classes are led by Sensei Daren Sims, a fully qualified aikido coach registered with the British Aikido Board. Daren is also the National Aikido Federation’s Association Child Protection Officer and the dojo’s Club Welfare Officer. Bristol North Aikido Dojo conforms to the British Aikido Board’s Child Safeguarding and Protection Policy.